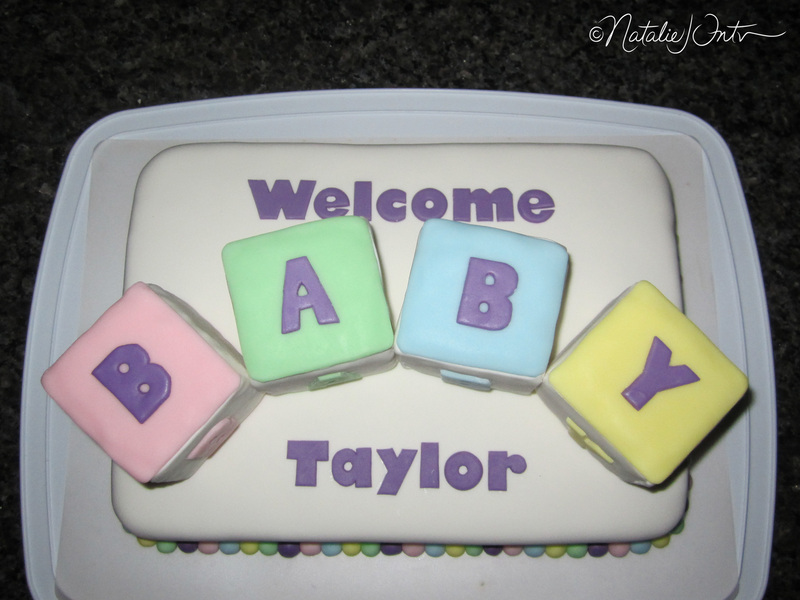 This cake was made to celebrate the birth of a coworker’s baby. 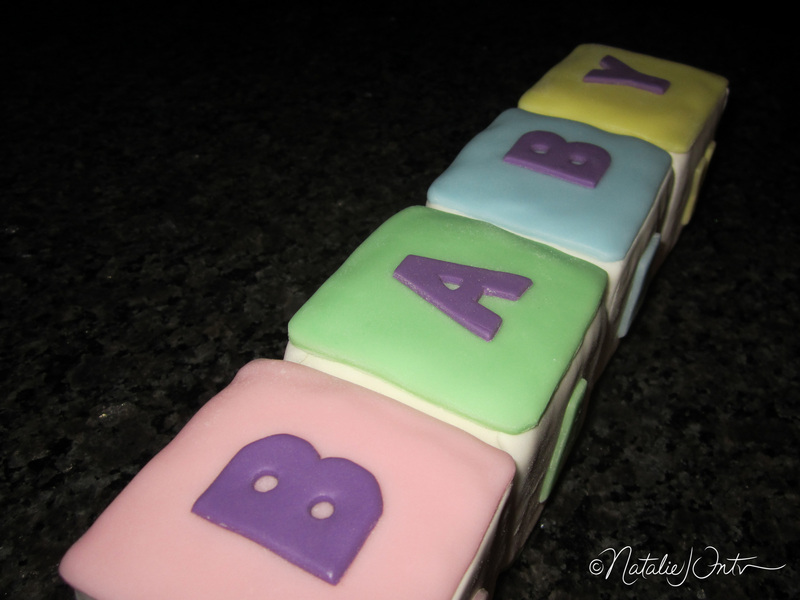 I made the baby blocks using rice krispy treats. 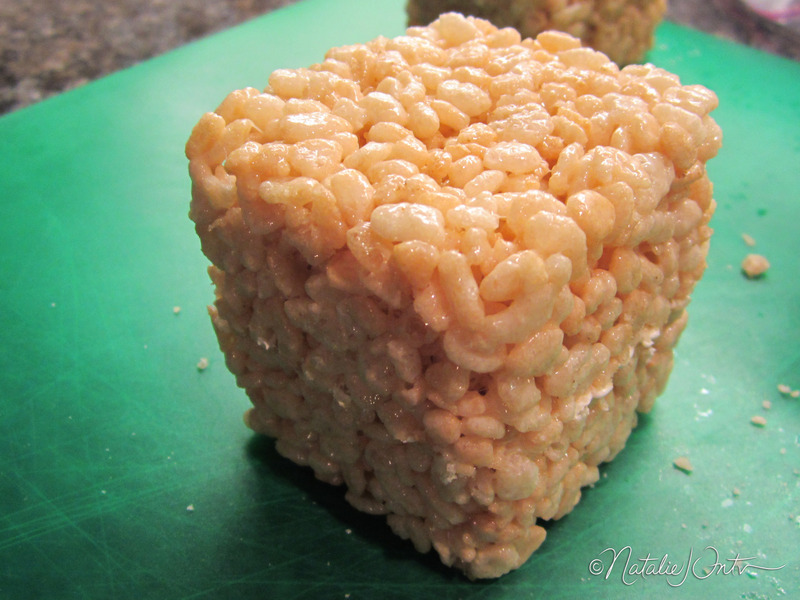 I used a square muffin pan to form the basic shape, and let them cool in the pan. 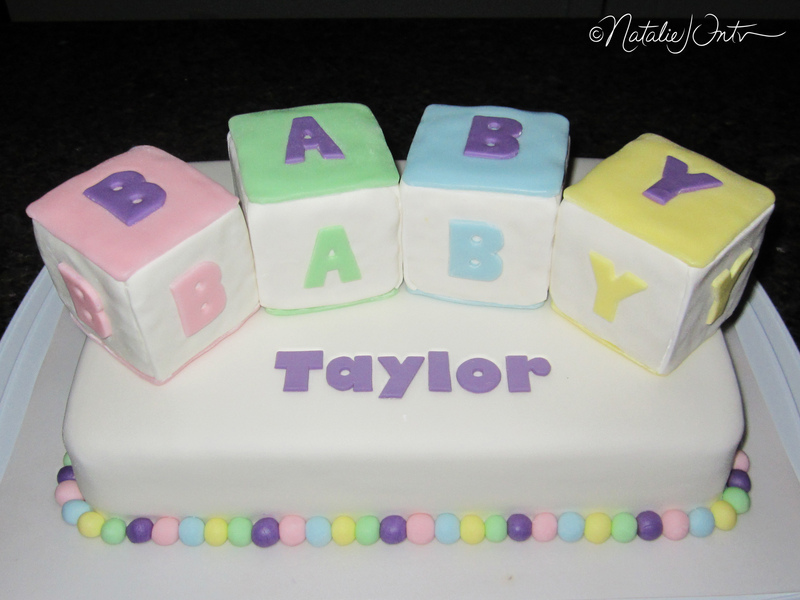 I covered them with buttercream, white fondant, and then various colored fondant squares and letters. 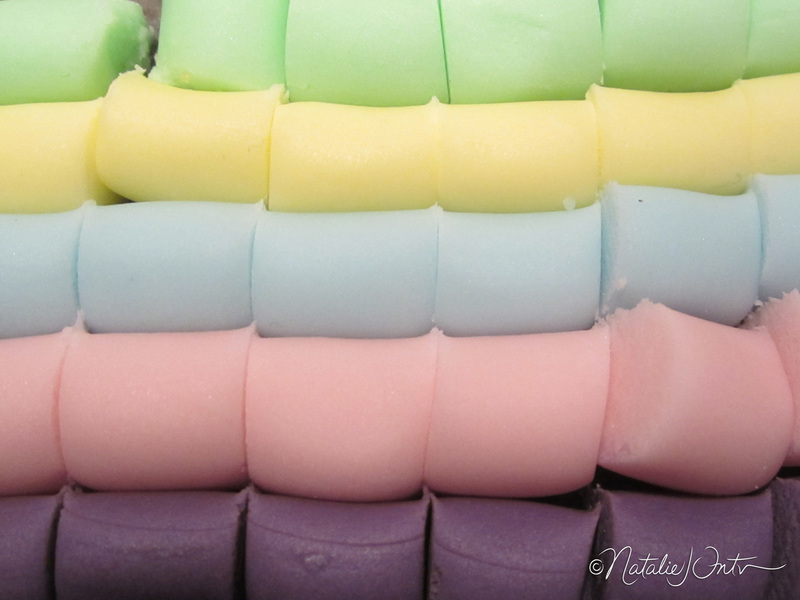 Next time to get a smoother finish on the block faces, I would try trimming the sides from the blocks with a knife once they were chilled. 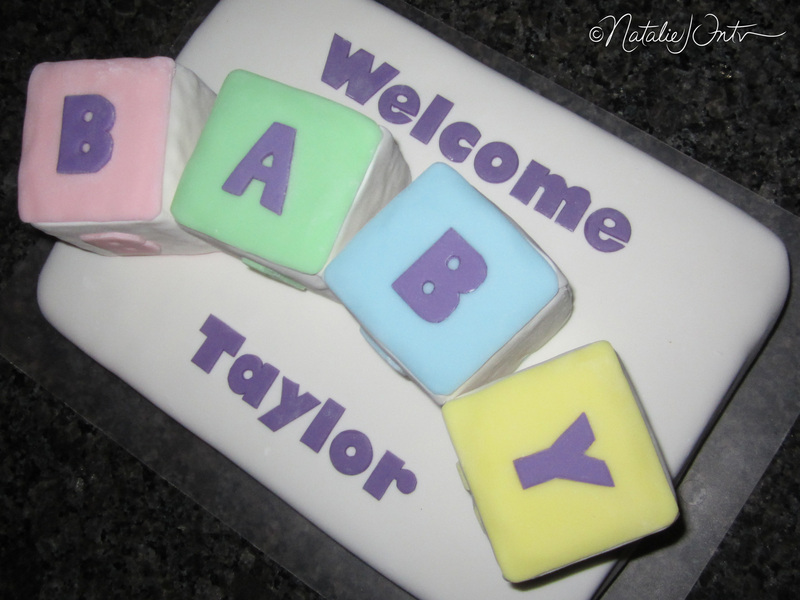 I cut out the fondant letters by hand using printed paper cutouts as a template. 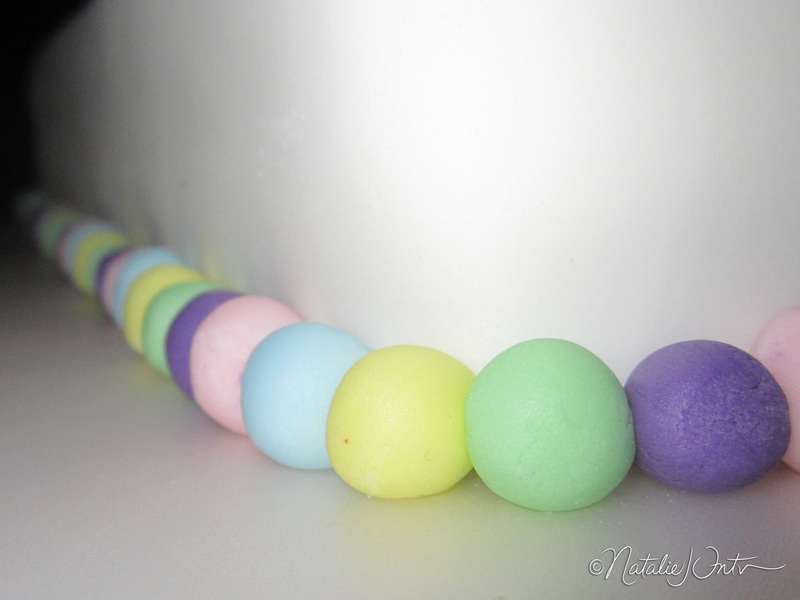 More baby cakes coming soon! 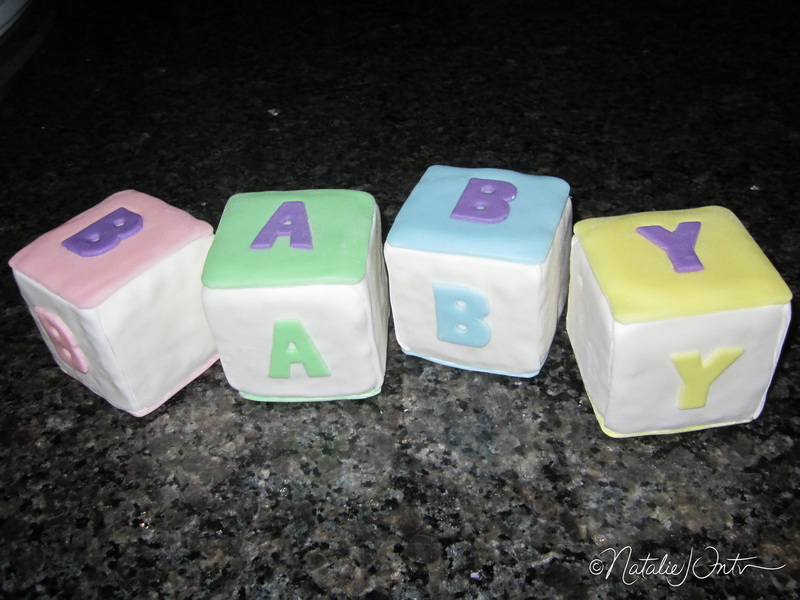 This entry was posted in NattyCakes and tagged baby blocks cake, baby cake, baby shower, baby shower cake, fondant, fondant baby blocks, muffin pan, rice krispy. Bookmark the permalink.